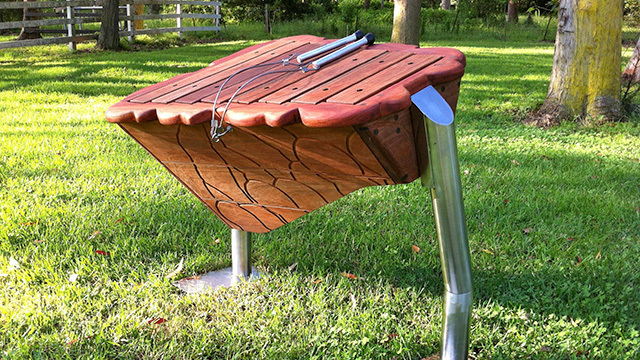 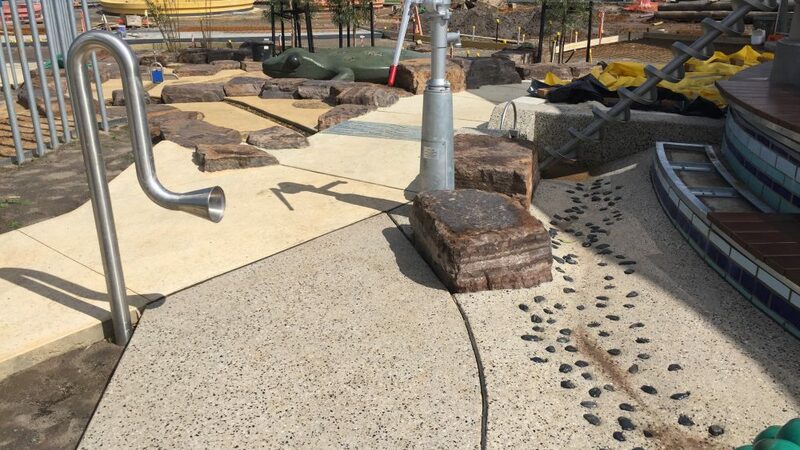 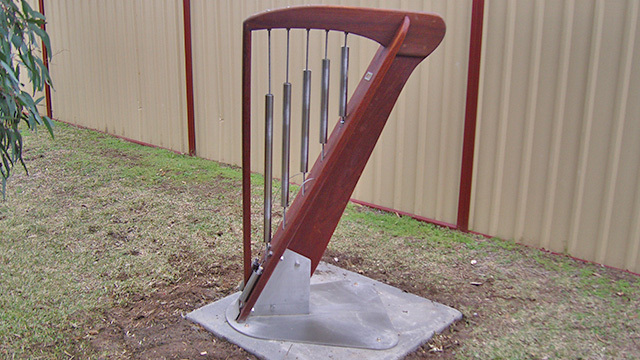 This shows some examples of customised sound sculptures designed to the clients’ specifications. 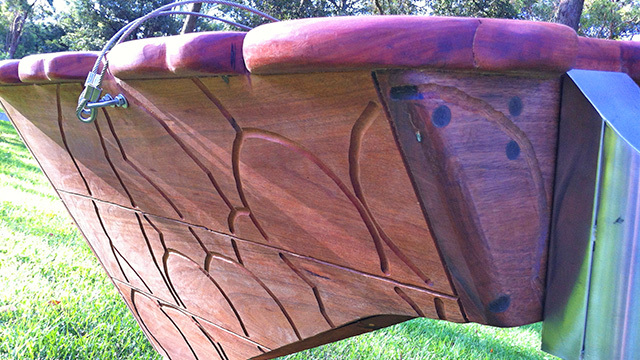 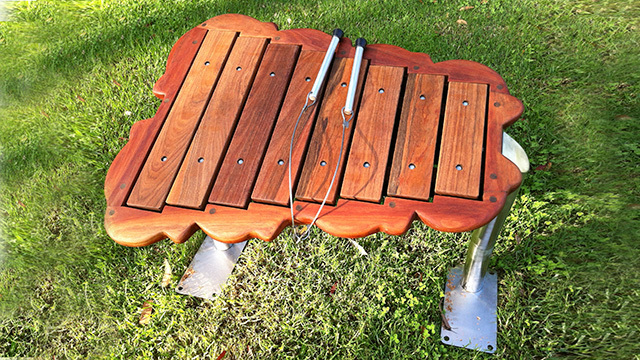 The Marimba shown has a gum-nut theme. 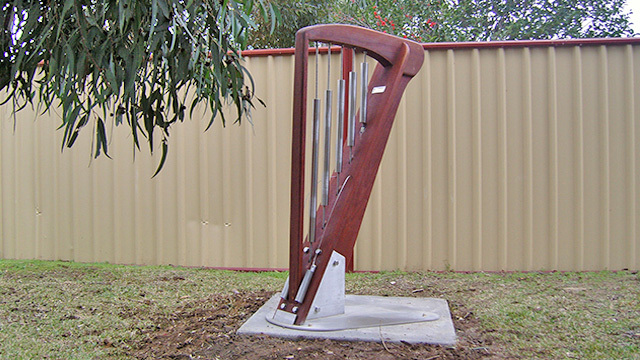 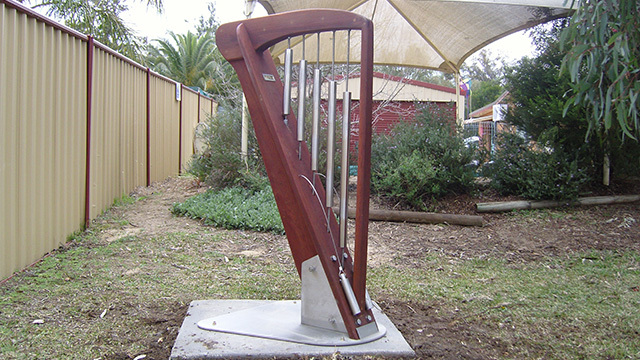 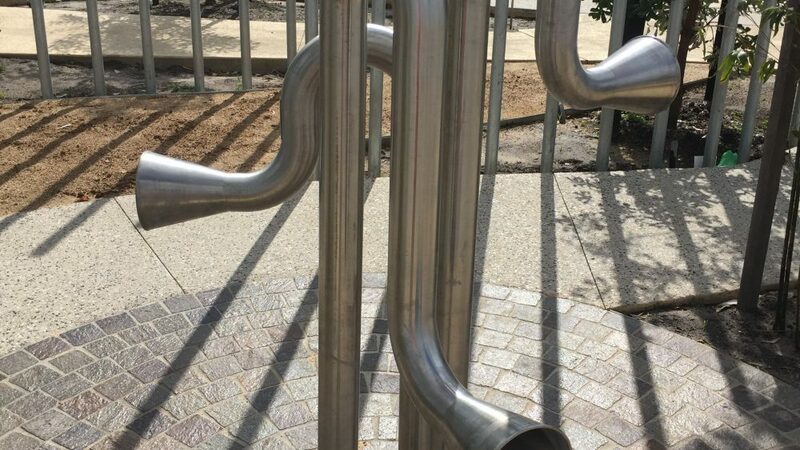 The little harp with 5 chimes was ordered by a pre school, designed for little people. 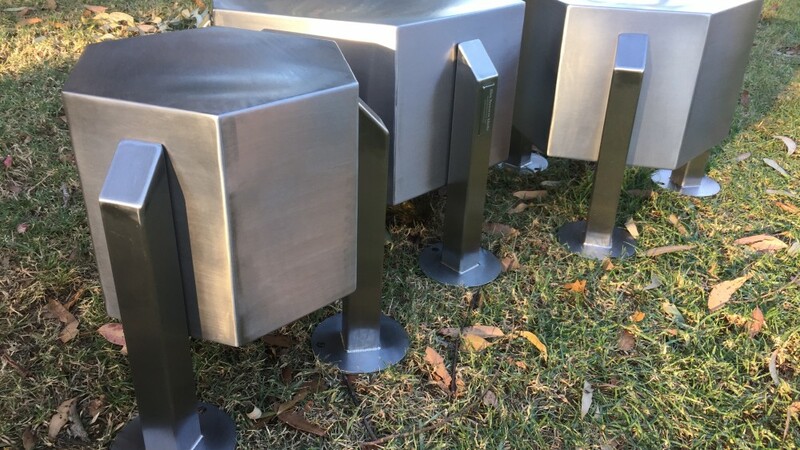 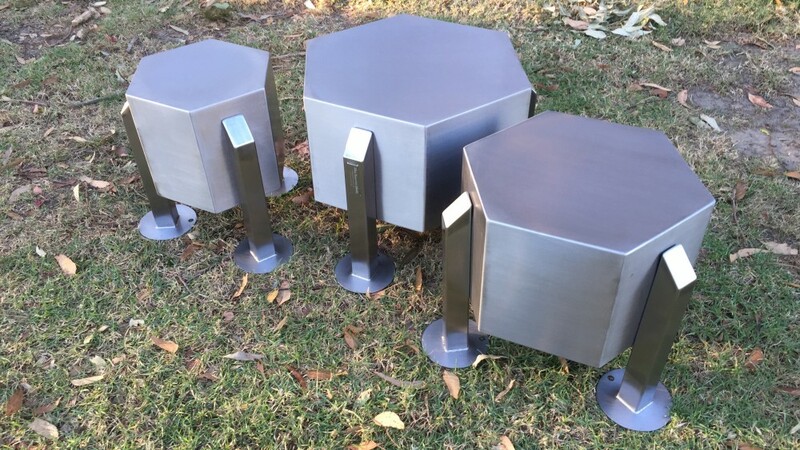 The Gong Drums have all stainless steel legs. 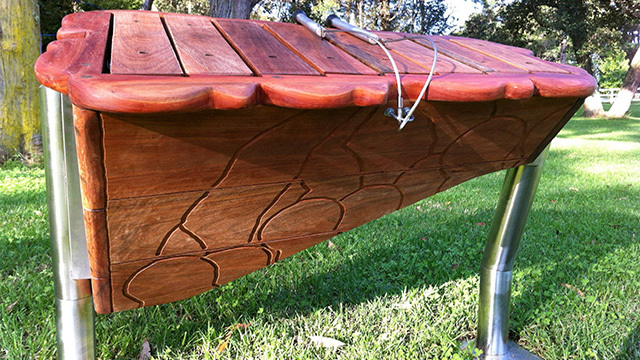 For a client who didn’t want wood.